Take the EIKEN at LIFE Jr. College on Saturday, January 20, 2018. Sign up for EIKEN already begun and will end on Friday, December 15. Go to the LIFE Jr. College office to sign up and pay your test fee. EIKEN (Eigo Kentei; 英検) is a series of Practical English Language Proficiency Tests. There are seven different levels of EIKEN: 1st Grade, Pre-1st Grade, 2nd Grade, Pre-2nd Grade, 3rd Grade, 4th Grade, and 5th Grade. 1st Grade is the highest EIKEN level, while 5th Grade is the easiest level. LIFE Jr. College will offer the following EIKEN tests on January 20th, 2018: 2nd Grade, Pre-2nd Grade, 3rd Grade, 4th Grade, and 5th Grade. 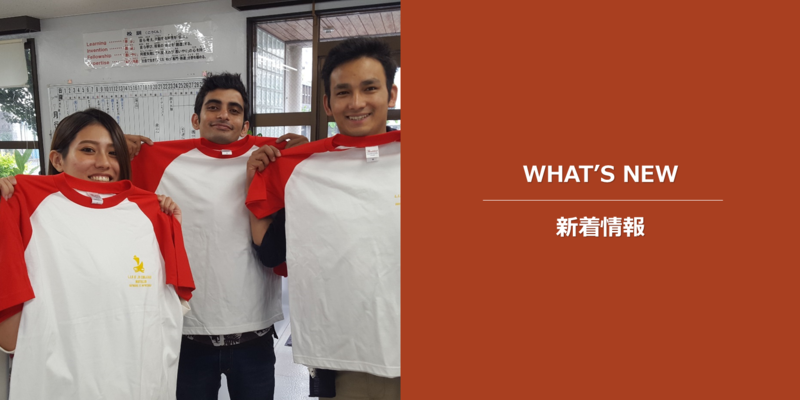 Students at LIFE Jr. College receive a discount by taking the EIKEN tests at LIFE Jr. College. EIKEN is widely administered and highly recognized throughout Japan. Students at vocational colleges, such as LIFE Jr. College, are strongly encouraged to pass the EIKEN to demonstrate their English language proficiency. If you do not take the EIKEN in January 2018, you will need to wait until June 2018 to take the EIKEN again. Therefore, sign up for the EIKEN now and take the test in January 2018. If you have any questions regarding the EIKEN, please contact a member of the Department of English at LIFE Jr. College. Any one of them will be happy to answer your questions. LIFE Jr. College specializes in foreign language learning. Study English at LIFE Jr. College! Study English every day! And good luck on your EIKEN test.